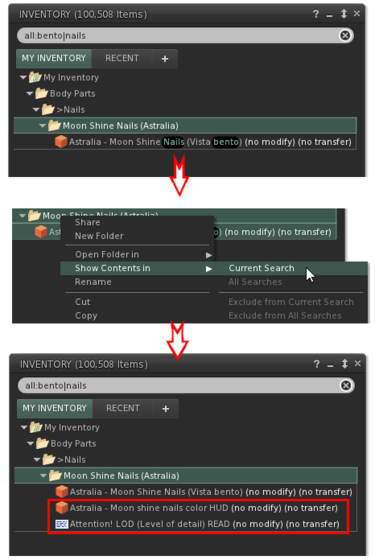 Often you'll be searching for something and either only the folder containing the items shows up, or only one of the items shows up. In that case, you can either right-click the item and go "Open in window", or cancel the current search and find the folder back but both of those are clunky and feel annoying. 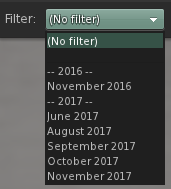 With this feature you'll be able to right-click the folder and pick "Show Contents In / Current Search" which will make all the items in that folder visible regardless of whether they match the current search words or not. 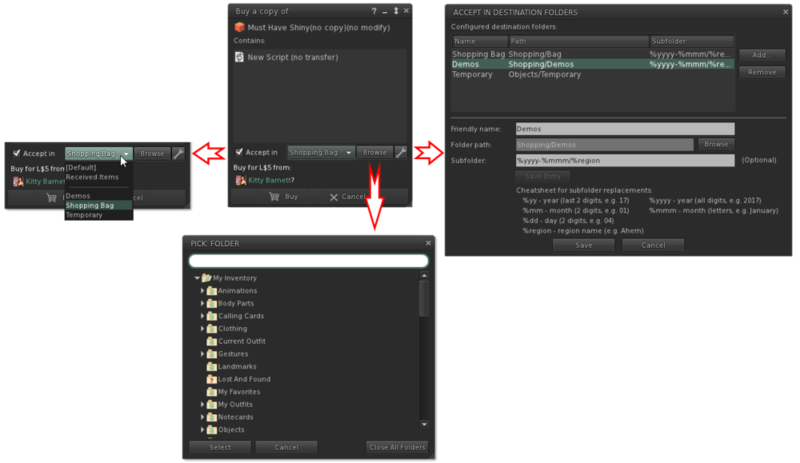 When you hover over a profile texture on the (legacy) profile floater, About Land, a group’s profile, … your cursor will show the zoom option which will open a texture preview floater of that texture (note that you do not have permission to save it to disk) with a fixed aspect ratio that matches the texture control’s. 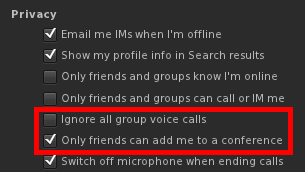 * The search box will search through the chat history for the specified word/sentence. Note that when you open the chat history it opens the last page by default so if you search for something you’ll need to click the back button to search back in time. 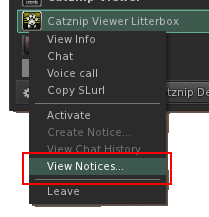 In R11 the notifications floater was revamped; in R12 there’s a new option for those of us who keep old notifications around but still want an easy way to see which notifications (group notices) are new. 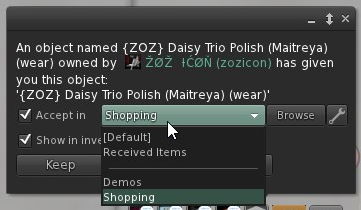 The “Since Logoff” option will (similarly to your inventory’s Recent tab) show only those notifications that were added since your last logoff (and any from the current logon session). Additionally you’ll be able to instantly open the group’s profile by right-click the group’s name in the group notice, as well as the notice’s sender. 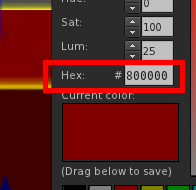 Another long-time request since LL took this away; clicking the button will flip the horizontal/vertical scale (for diffuse, normal or specular depending on your current edit mode). I was trying something with complementary colours and got annoyed that I had to keep converting from hex colour value to RGB so there you go 😊. This was a long time request, sorry it took so long to get around to it but it’s finally here 😊. With the move to 64-bit it’s finally possible to increase the viewer’s texture memory allowance; since it seems LL has already been working on this I’ve only done a minimal change. Since I don’t have access to a wide variety of video cards it’s possible you still may not be able to change it beyond the old 512Mb limit. Finally, keep in mind that your video card’s memory is shared between all currently running programs (i.e. browser tabs), so even though your card might have 2Gb or more of RAM the slider is conservatively capped at 1/3rd of total. 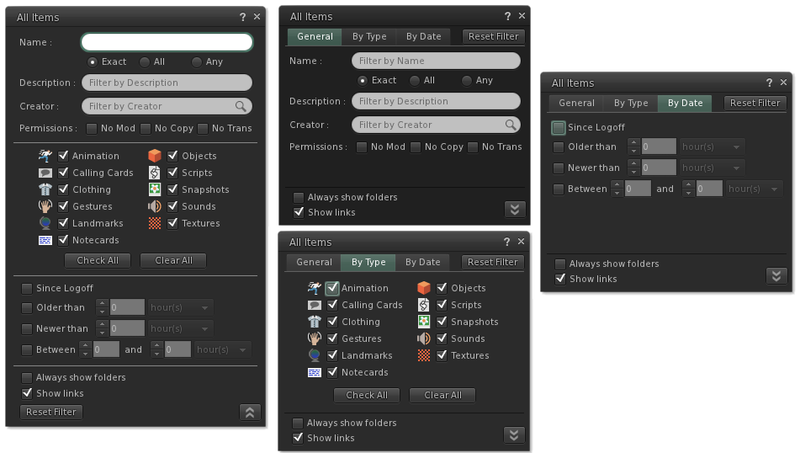 Change it in Me / Preferences – Graphics tab and Advanced Graphics (a revamp of the graphics preferences is coming! I know the default is horrid ☹). This has also been an on/off popular requested feature since it's apparently a big deal in WoW, and the standard way you move around that world. I’d really appreciate feedback on whether I got it right or wrong or if you have any suggestions for change. *When you hold down both the left and right mouse button on your own avatar you'll start walking forward for as long as at least both buttons are held down (so in order to stop walking you need to release at least one button). While you're walking you can move the mouse around to steer; this hasn't changed and was always the behaviour when the left mouse button was down on yourself (or your own name tag). If you keep only the left mouse down then the camera will rotate along with your avatar; if you keep only the right button down then the camera will rotate around your avatar which will keep facing the same way (it’ll make more sense when you try it 😊). [[File:r12MouseBoth.png]]Click your avatar (or name tag) with both mouse buttons to start moving forward. Move the mouse to steer. Release both buttons to stop, or release one to allow camming (see below). [[File:r12MouseLeft.png]]When you let go of the right mouse button and keep holding down the left button you can orbit the camera and your avatar will turn to face the same direction. [[File:r12MouseRight.png]]When you let go of the left mouse button and keep holding down the right button your camera will orbit but your avatar will keep facing the same way. [[File:r12MouseBoth.png]]Pressing both buttons once more will move you forward once more. 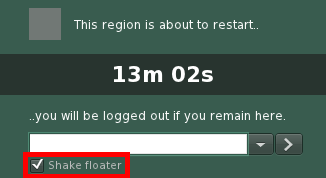 Note that you can switch between walking and running using the “Always Run” toggle [Ctrl-R]. * In WoW holding down the left mouse will orbit the camera around your character without changing its orientation while right-click holding will orbit and rotate your character as well. In Second Life the left-hold-orbit has already always rotated your avatar around so I didn't want to touch that, secondly context menus are always supposed to open right after the mouse goes down so instead I had to use the middle mouse button to allow you to orbit around without actually turning that way. Try it out and provide feedback as needed 😊. 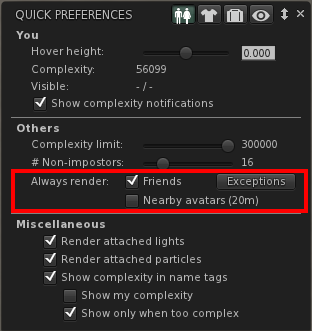 When you right-click someone you (see screenshot) you have the option to always render that avatar regardless of your avatar complexity settings (or never render them) but that preference didn’t persist and was lost on every relog. 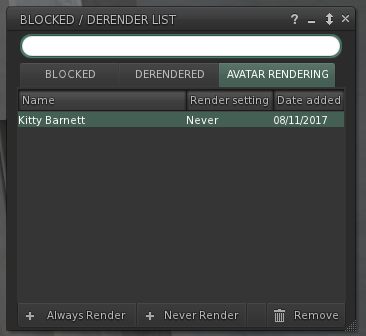 R12 incorporates the avatar rendering list in the blocked/mute list floater (see screenshot) which you can get to from the normal places as well as the quick preferences appearance panel. Note that the avatar rendering exception list is stored locally and per-viewer (requests to change this need to go through LL’s JIRA unfortunately, it requires a minor server change to how the mute list is stored). 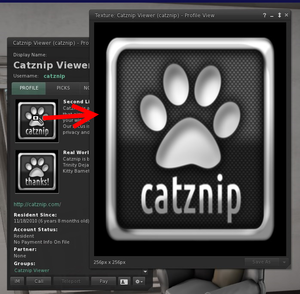 Last, but certainly not least there's also been a lot of work done on a new Catznip website, as well as completely redoing the way the updater and crash reporter work. We'll be slowly unveiling this over the course of the year but for now you there's at least the new download page @ https://get.catznip.com! The search box will search through the chat history for the specified word/sentence. Note that when you open the chat history it opens the last page by default so if you search for something you’ll need to click the back button to search back in time. 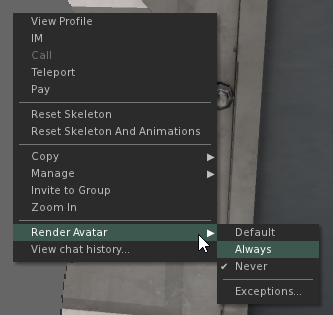 When you hold down both the left and right mouse button on your own avatar you'll start walking forward for as long as at least both buttons are held down (so in order to stop walking you need to release at least one button). While you're walking you can move the mouse around to steer; this hasn't changed and was always the behaviour when the left mouse button was down on yourself (or your own name tag). 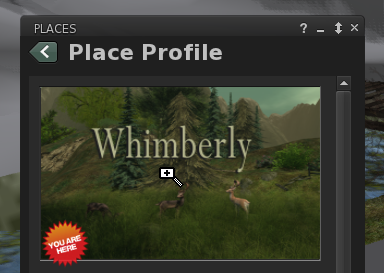 Click your avatar (or name tag) with both mouse buttons to start moving forward. Move the mouse to steer. Release both buttons to stop, or release one to allow camming (see below). When you let go of the right mouse button and keep holding down the left button you can orbit the camera and your avatar will turn to face the same direction. When you let go of the left mouse button and keep holding down the right button your camera will orbit but your avatar will keep facing the same way. Pressing both buttons once more will move you forward once more. Note that you can switch between walking and running using the “Always Run” toggle [Ctrl-R]. In WoW holding down the left mouse will orbit the camera around your character without changing its orientation while right-click holding will orbit and rotate your character as well. In Second Life the left-hold-orbit has already always rotated your avatar around so I didn't want to touch that, secondly context menus are always supposed to open right after the mouse goes down so instead I had to use the middle mouse button to allow you to orbit around without actually turning that way. This page was last modified on 1 January 2018, at 19:07. This page has been accessed 55,665 times.